Monitor up to four different SD and HD sources on the same display at the same time. 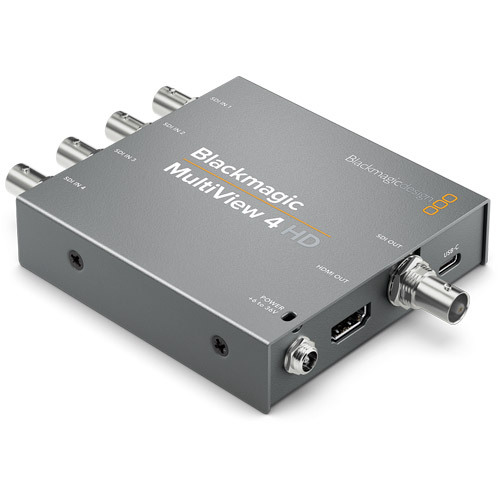 The new Blackmagic MultiView 4 HD model is a low cost multi viewer that lets you simultaneously monitor 4 different SDI video sources on a single display. Each view is a completely independent video monitor with overlays that you can turn on and off such as custom labels, audio meters and more. Full frame re-synchronization on each input lets you monitor any combination of video signals, even if they are different frame rates. The multi rate 3G-SDI connections are compatible with all existing SD and HD equipment and formats up to 1080p60, including Level A and B devices. Plus, you get both 3G-SDI and HDMI outputs so you can use traditional SDI displays or even low cost big screen televisions. The easiest SD, HD and Ultra HD multi view you'll ever use. 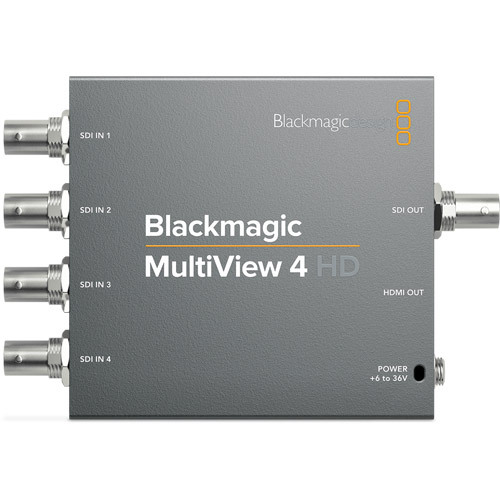 Blackmagic MultiView 4 has four independent 6G-SDI inputs that work with all SD, HD and Ultra HD formats up to 2160p30. The included Ethernet remote control software lets you turn on audio meters, select audio to output, and create custom labels. MultiView 4 displays your sources in a standard 2x2 grid. You can also add a Teranex Mini Smart Panel for full front panel control and rack mount it using the optional Teranex Mini Rack Shelf. Monitor any combination of SD, HD and Ultra HD sources all on the same screen, at the same time. 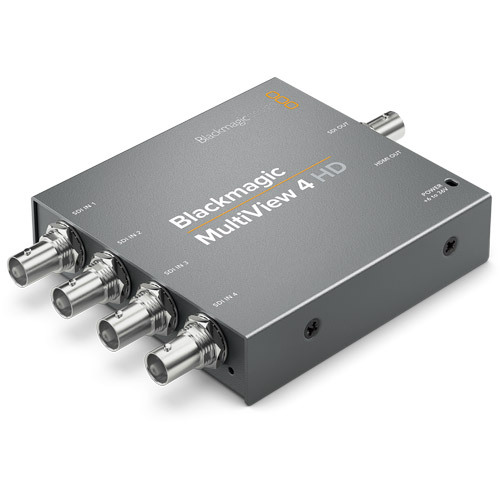 Blackmagic MultiView 4 has four completely independent 6G-SDI inputs that work with all SD, HD and Ultra HD formats up to 2160p30. Simply connect your sources and you’ll get a standard 2x2 grid view on an HD or Ultra HD television. Using the included Ethernet remote control software, you can turn on audio meters, choose which audio to output, as well as create custom labels, and more. MultiView 4 is compatible with the Teranex Mini Rack Shelf so you can use it on your desktop or rack mount it. You can also add an optional Teranex Mini Smart Panel for front panel control. For the ultimate in broadcast reliability and redundancy, you can power MultiView 4 via the AC connection as well as power over Ethernet. 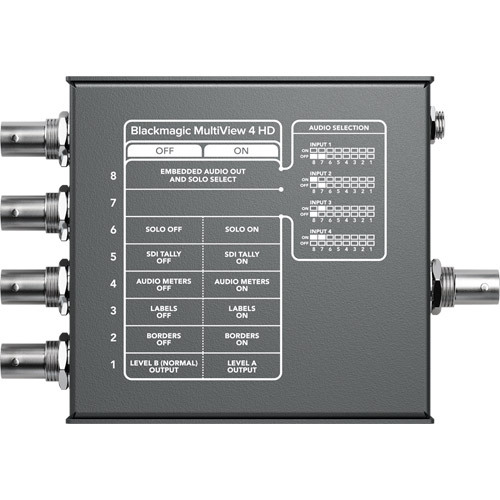 Blackmagic MultiView 4 is a multi viewer that lets you monitor 4 completely independent SDI video sources on a single display. Featuring 4 6G-SDI inputs with full re-synchronization, MultiView 4 lets you monitor any combination of SD, HD and Ultra HD video formats and frame rates all at the same time. Blackmagic MultiView 4 can output to both 1080 HD and 2160p Ultra HD displays so you connect it to either regular HD or Ultra HD televisions. If you connect an Ultra HD television or monitor, you can take advantage of the extra resolution of Ultra HD and see full resolution 1920 x 1080 HD in each view for incredible sharpness. You can even turn on audio meter overlays, custom labels and more in each view. Multi view monitoring is perfect for massive control rooms with lots of incoming feeds, for live multi camera production or for use on location and in tight spaces that don’t have room for multiple monitors. With Blackmagic MultiViews you don’t need to connect multiple monitors, dozens of cables or run extra power to see all of your video sources. Simply plug your cameras, decks, switchers and routers into the SDI connections to see everything with amazing clarity and detail on a single HD or Ultra HD monitor. Each view on a Blackmagic MultiView works as a completely independent video monitor. You get full frame re-synchronization on all of the 6G-SDI inputs. That means they can be any video standard and frame rate, and each input is completely independent of the others. You can mix any combination of referenced or non-referenced NTSC, PAL, 720p, 1080i, 1080p, and Ultra HD up to 2160p30, all on the same display at the same time. It's like getting 4 or 16 independent monitors in one. Blackmagic MultiView works with both HD as well as Ultra HD displays, so you get maximum compatibility with your existing HD equipment. That means you can use regular HD displays but you also have the choice to use an Ultra HD monitor for incredible sharpness. Ultra HD has four times the number of pixels of regular HD, so your video will look sharper and clearer than ever before. What this means is when displaying the 2x2 view on an Ultra HD monitor, each view is a full 1920 x 1080 HD resolution with no scaling. MultiView includes both 6G-SDI and HDMI outputs so you can connect to televisions, video projectors, broadcast monitors and more. Blackmagic MultiViews feature advanced monitoring tools that can be displayed with your video. 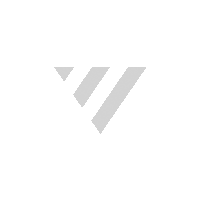 You get custom labels, audio meters, tally indicators and more. You can also choose which audio source is routed to the video output. The on screen source labels have a subtle, elegant design and resize proportionally based on the selected layout. In addition, you get anamorphic support in standard definition so you can view 16 x 9 anamorphic video sources in widescreen. All Blackmagic MultiView models feature multi rate 6G-SDI inputs with full frame re-synchronization and separate loop through outputs, making it compatible with your existing equipment. The SDI inputs automatically detect and re-sync’s SD, HD and Ultra HD formats up to 2160p30. You also get HDMI 2.0 and 6G-SDI for both HD and Ultra HD output. MultiView 16 also includes a reference input connection and blackburst/tri-level sync for studio installations. Two great designs to fit any installation. MultiView 4 is designed to give you compact, portable multi viewing that’s easy to setup and can be used anywhere. Simply plug in your sources, turn it on and you’ll instantly see a quad split view displaying everything. MultiView 16 is designed for larger, more complex setups with lots of video sources where you need more views on the same screen. You get router style front panel controls that include dedicated source buttons, a spin knob and LCD screen for adjusting settings, turning on overlays, and quickly and easily routing any source to any view on the grid.